A 2013 voter initiative in Encinitas has prevented the coastal city from meeting a state housing mandate to accommodate new housing. A judge is poised to sideline the local law and force the city to adopt a new blueprint for growth. A San Diego County Superior Court judge is poised to suspend an Encinitas law giving locals final say over major land-use changes. The only question is how long the judge will shelve the law, which has prevented the city from complying with state housing requirements since its passage in 2013. 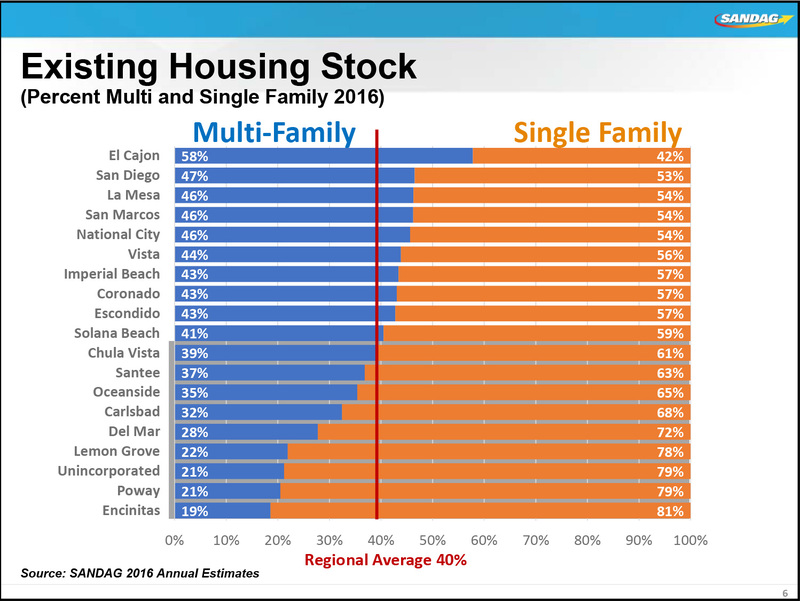 Encinitas is the most housing-averse city in San Diego County, with the lowest percentage of multifamily units. And in the last two elections, residents have rejected two ballot measures that would have adopted plans to identify sites for new housing and potentially make way for more low-income options. Those plans are required by California every few years, but don’t actually require that anything ever gets built. 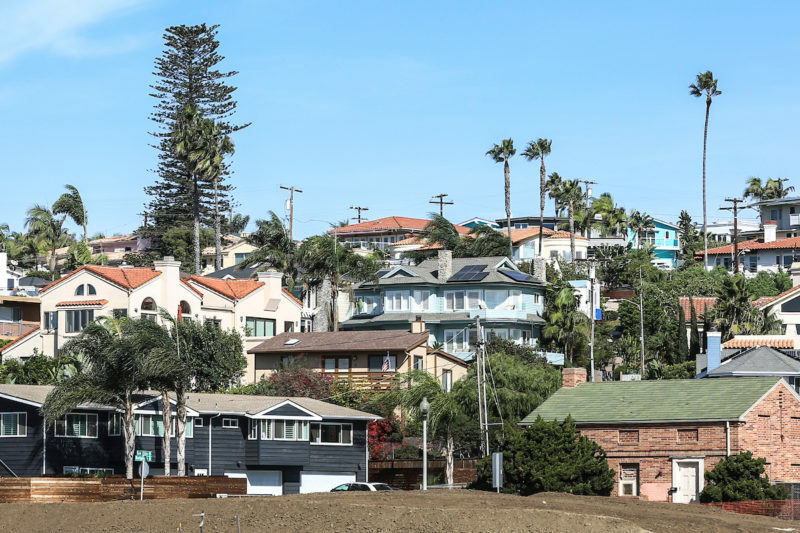 Even so, the inability of Encinitas — home to about 60,000 people with a median household income of $100,000 — to send the state an acceptable housing blueprint has led to multiple lawsuits in recent years. The cost so far to taxpayers: more than $1 million. The ongoing case is testing the limits of local control while a statewide housing crisis unfolds. In a North County courtroom Wednesday, attorneys for the various low-income tenant and developer interests who are suing Encinitas asked a judge for guidance on how to write a housing plan. They offered options for resolving the obvious conflict between state and local law, known as Proposition A, without resorting to a third vote of the people. Housing plans are required every eight years, and the current cycle — stretching from 2013 to 2021 — is more than halfway done. In other words, Encinitas needs to get something on the books soon. Then officials need to start on the next housing cycle, which will include a new list of requirements from the state. Once a plan is in place, the San Diego Association of Governments, or SANDAG, is responsible for divvying up the number of units that each local city should be responsible for, out of the county’s overall responsibility. Kautz urged the judge to suspend Prop. A only for the current housing cycle, and not the next, arguing that voters may not need to vote on a housing plan in the future. That would depend, she said, on the new requirements laid out by the state. But state officials have been asking over time for denser development, meaning it’s likely Prop. A would be triggered after 2021, too. To think otherwise would be naïve, said Building Industry Association attorney Timothy Hutter. Instead, he advocated that the court suspend Prop. A for this housing cycle and the next. In the hallway of the courthouse, Encinitas Mayor Catherine Blakespear, who’s the incoming vice chair of SANDAG, conceded the point. “I don’t see a situation in which it wouldn’t be triggered,” she said. More housing requirements are coming down the pipeline, requiring greater density in Encinitas and elsewhere, and that’s one reason why Blakespear has encouraged her neighbors to put a plan on the books now rather than later. Technically, Measure U as written is not compliant with state law. The California Department of Housing and Community Development gave its blessing on June 12. A week later, the City Council tweaked the plan’s development standards and voted 3-2 — Blakespear was opposed — to remove two high-density sites from the list. State officials asked the city in July to reconsider. Superior Court Judge Ronald Frazier is expected to deliver a final ruling on Dec. 12. Naturally, Bruce Ehlers, an engineer and the primary author of Prop. A, passed at the ballot box in 2013 to provide a check on the City Council, said he was unhappy that a court would circumvent the will of Encinitas voters. But if it had to be done, he agreed with the city and hoped Prop. A would only be sidelined this one time. Bob Kent, an Encinitas resident and co-founder of Keys4Homes, on the other hand, said he would have preferred Measure U won the support of the public, but he was happy the city was getting closer to putting a plan in place. He acknowledged the plan was merely a blueprint, a necessary first step but not sufficient by itself. “I’m hoping the mayor and the new council will provide the leadership to actually get the afforable homes built,” he said.